Temporary Fillings - Why Would You Need One? Dental emergencies. If you suffered trauma to your tooth and your dentist squeezed you in as an emergency appointment, there simply might not be enough time to place a final filling. Fortunately, a temporary filling will help to ease your pain until your next visit when the tooth can be completely restored. Nerve issues. In some cases, cavities can develop close to the nerve. Your dentist may not be able to determine whether the tooth will live, so a temporary filling could be put into place to see what happens. If after a few weeks it is determined that you won't need an extraction, a permanent filling can be put in. In between dental appointments. If you need to have a root canal, the procedure will likely take two appointments. After the first, a temporary filling will likely be put in to keep the tooth sealed while the medicine inside does its job. 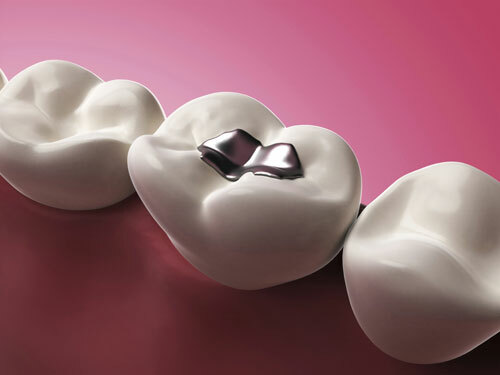 When you return, a permanent filling will be put in, and it will likely be capped off with a crown. Some nerves can become hypersensitive after a filling, so in some cases, a sedative temporary filling will be put into your tooth first so that the nerve has time to settle before the permanent filling. Remember that your temporary filling isn't intended to last, and they can fall out and fracture easily. Therefore, it is extremely important that you follow up with your dental treatment as outlined by your dentist so that the permanent filling can be placed in a timely manner. Please contact us if you have any questions about temporary fillings.